Earlier today, Suicide Squad director David Ayer revealed on his Twitter account that "something will happen" tomorrow for his highly-anticipated comic book adaptation. Since production doesn't begin until next month in Toronto, tomorrow's mystery reveal won't likely be any footage, but it's possible that we could get our first photo of the cast in their super villain costumes. It's also possible that we could get the official logo for Suicide Squad. 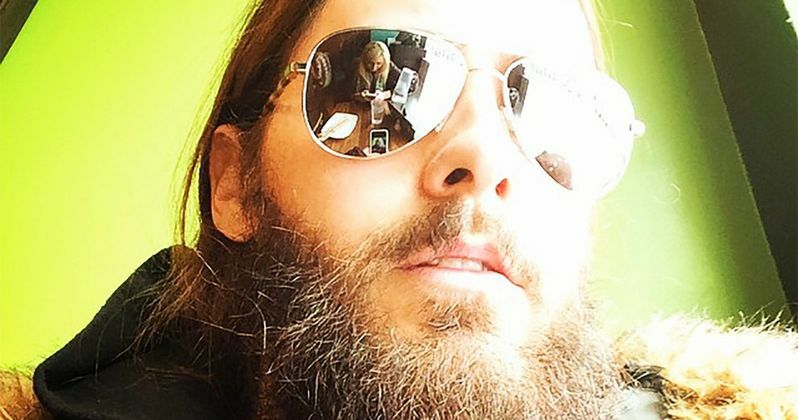 Jared Leto, who is set to play The Joker in Suicide Squad, also revealed on his Instagram page that he is in Toronto, possibly for costume fittings and to get a shave and a haircut in preparation for his role. It isn't known if the rest of the cast are also in Toronto as well, such as Will Smith (Deadshot), Margot Robbie (Harley Quinn), Jai Courtney (Boomerang), Joel Kinnaman (Rick Flagg), Cara Delevingne (Enchantress) and Viola Davis (Amanda Waller). What do you think will be revealed tomorrow? The first cast photo? The official synopsis? Take a look at David Ayer's tweet and Jared Leto's Instagram photo below, and chime in with your thoughts on tomorrow's reveal.